India has a free trade agreement with South Korea and therefore, there is no basic customs duty on gold imports from there. With the Central government realising that the gold imports have significantly increased from South Korea in the month of July — as the net import duty on gold has decreased under goods and services tax (GST) regime — it is contemplating various “options” to curb it. India has a free trade agreement with South Korea and therefore, there is no basic customs duty on gold imports from there. The GST regime was rolled out from July 1. Before GST regime, there was an excise duty of 12.5 per cent on gold and jewellery, which also acted as a countervailing duty on South Korean gold imports due to the free trade agreement. From July 1, this 12.5 per cent excise duty was subsumed under GST. Consequently, from July 1, there was no countervailing duty on South Korean gold imports. Therefore, currently, there is only a three per cent integrated goods and services tax (IGST) on South Korean gold imports. “We are aware of the fact that there is a sudden surge of import of gold coins and medallions from South Korea in the month of July. The commerce ministry and finance ministry are jointly exploring options to curb this. At this stage, we cannot give more details than this,” a senior government official said on the condition of anonymity. According to a Delhi based trade expert, the Ministry of Finance has the option of imposing a safeguard duty on South Korean gold imports, but that decision may take time — minimum four to five weeks — as it can only be done after Director General of Safeguards thoroughly examines the issue and submit his report. 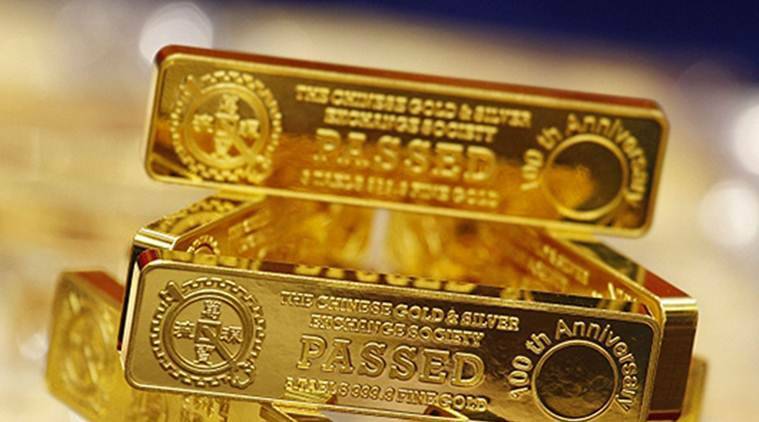 The expert added that the government has another option of strictly checking the rules of origin (ROO) certificates of the gold importers.